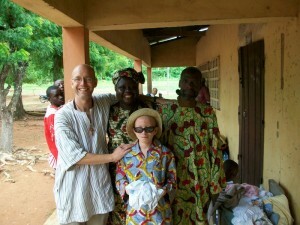 The Long family has extended family living in Togo, West Africa. On their trip there in 2009, the Longs established a program to help those who are suffering albinism. Togo has a relatively high number of individuals with albinism. People with this skin pigmentation genetic condition are hurt substantially in their eyes and on their skin by the sun’s rays. And, as you might expect, the sun REALLY shines in West Africa! Sunscreen is almost unheard of in this country so we are seeking donations of tubes of sunscreen at SPF30+. Also, donations of sunglasses with UV protection, full brim hats (think Gilligan from Gilligan’s Island, or gardening/fishi ng/baseball caps WITHOUT plastic tabs in the back) or lightweight long-sleeved shirts will be taken to Togo for these people. Especially valuable will be items for infants and small children. These items go from Cincinnati to Togo by truck-railroad-ship in a two month journey. They are then distributed in Togo by the group Anat Albinos Du Togo. The word “albinism” refers to a group of inherited conditions. People with albinism have little or no pigment in their eyes, skin, or hair. They have inherited altered genes that do not make the usual amounts of a pigment called melanin. One person in 17,000 has some type of albinism. Albinism affects people from all races. 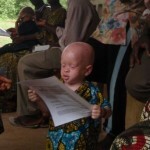 How do those suffering albinism get the sunscreen, sunglasses, etc. we provide? 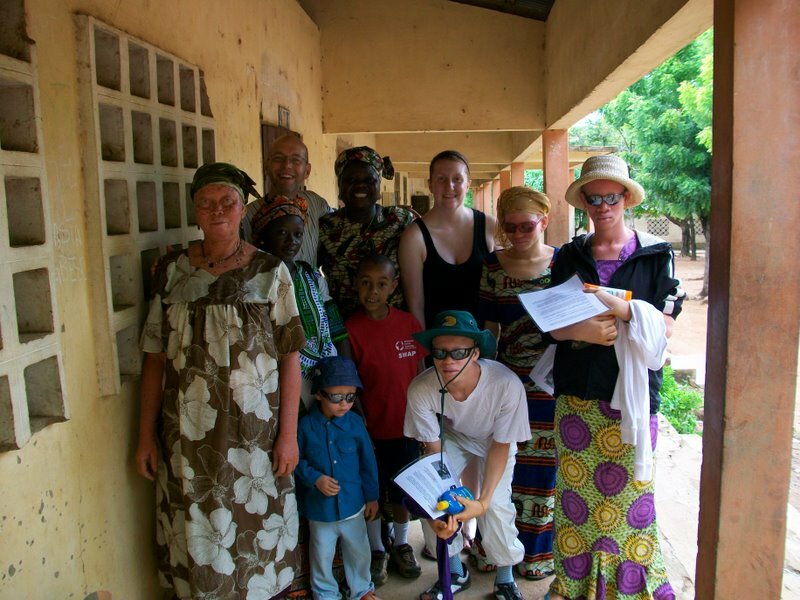 We are working with a local Togolese group called Anat Albinos Du Togo. We send the donations to them and this group then distributes them within the country. They have a Facebook page here and they are happy to accept new Facebook friends. 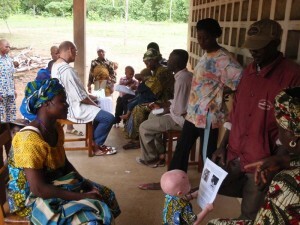 Many thanks to Ft. Thomas and MWPC members who have contributed to the albinism cause! 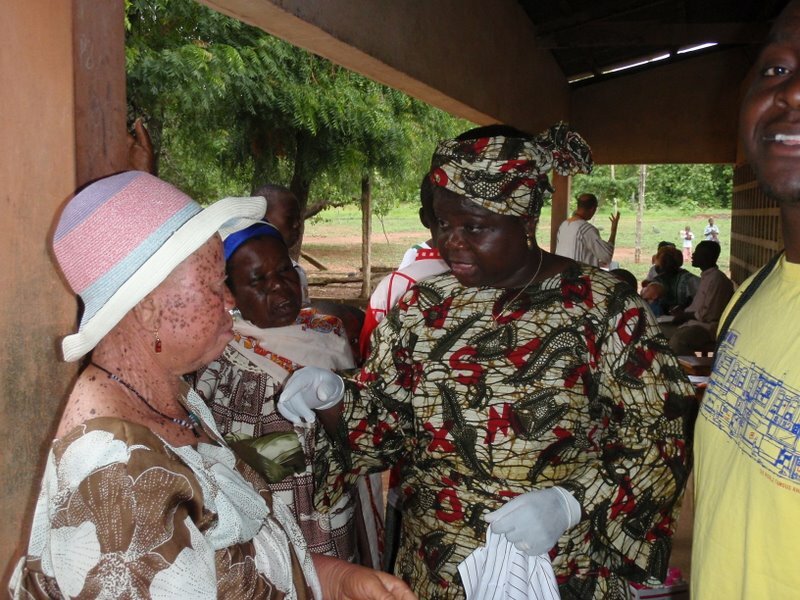 Great news – Togo Peace Corps folks are continuing the efforts! Tchao’s list of those helped so far….